"John the salesman was very helpful and considerate." 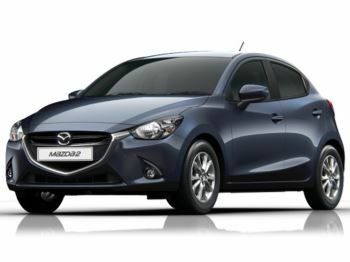 The all-new Mazda2 provides definitive proof that the best things come in small packages. KODO: Soul of Motion design ensures that the model is packed with character and bursting with vitality. 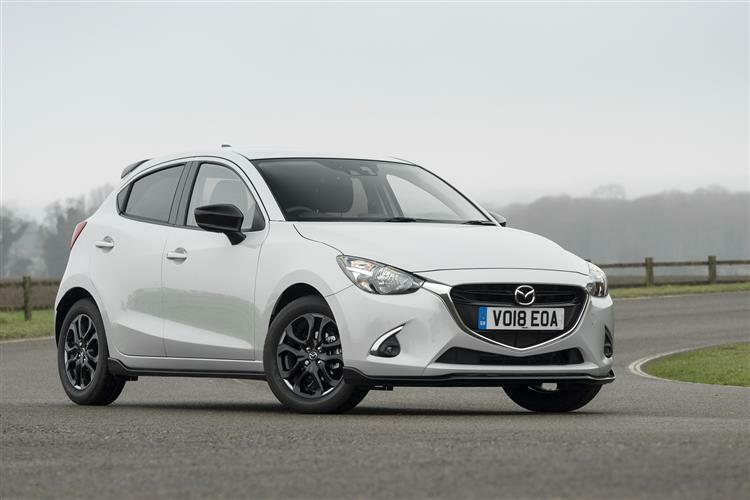 As a compact supermini that defies convention, the all-new Mazda2 provides a responsive drive that is fun and comfortable, whether you're heading into tight city streets or out on the open road. 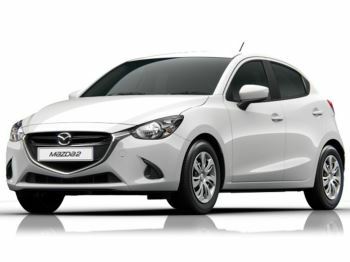 As part of the Mazda range of innovative models, the all-new Mazda2 is packed with cutting-edge technology and advanced in-car technology, providing the ultimate driving experience. 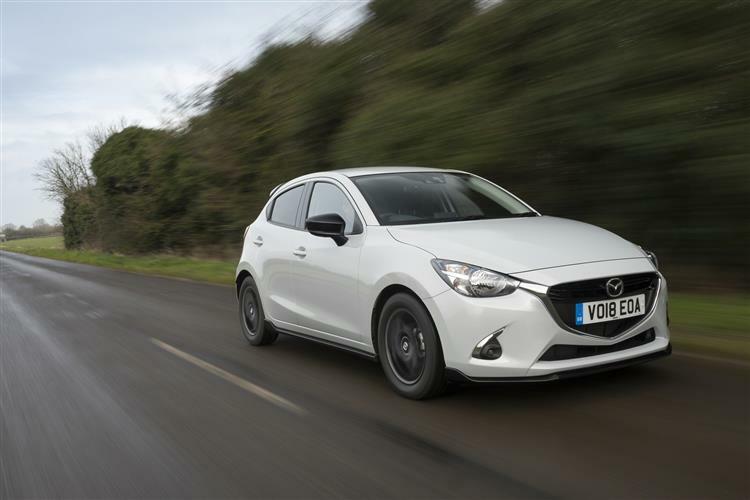 The All-new Mazda2 is available from Invicta Mazda in Maidstone, Kent and Tunbridge Wells, Kent, Bolton Motorpark Mazda and Northampton Mazda today. Get in touch with our dedicated sales team today. Test drives available in all 4 dealerships. 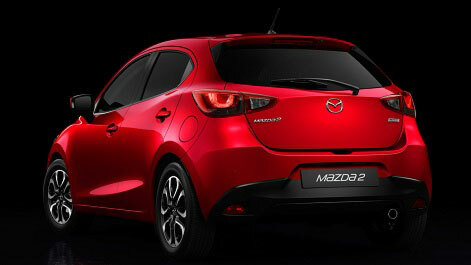 Bringing to life our stunning Hazumi conecpt car, all-new Mazda2 challanges preconceptions of the importance of size. 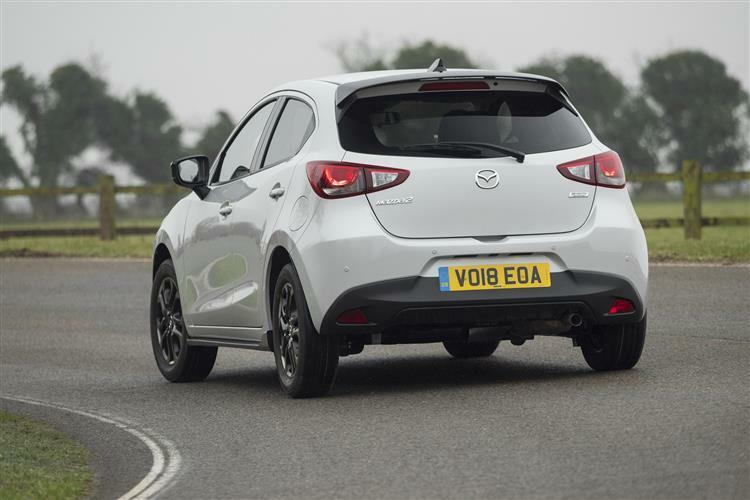 Its solid stance and compact design provides an athletic appearance, while beneath the surface a fill array of SKYACTIV Technology delivers responsive performance, outstanding fuel economy and low C02 emissions. 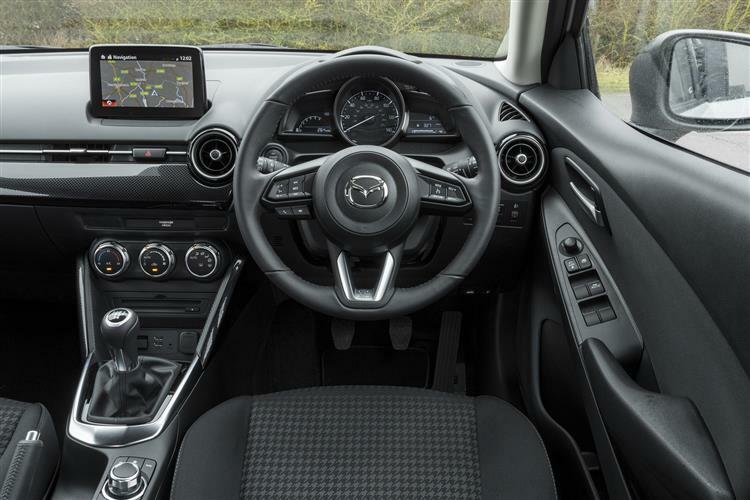 Designed around the driver, to offer exeptional levels of comfort and control, the interior of the all-new Mazda provides a clean and spacious layout. From satin-chrome detailing on the climate control air-conditioning dials to sculpted deco panels and detailed stitching, the intrrior exudes premium quality, setting new standards in interior design. 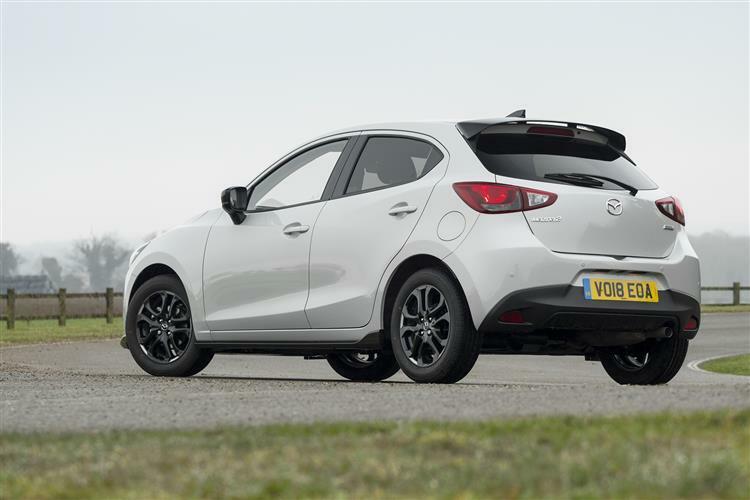 With a length of 4060 mm and height of 1495 mm, the all-new Mazda2 is now larger than its predecessor and features a wheelbase 80 mm longer giving you an improved interior space and also supports greater on-road stability. Drivers also benefit from clear and well-defined dials and instruments, all of which are easily reached from the comfortable, supportive seats. *MZD Connect is not available on 75ps SE and 75ps SE-L models **Aha™ and Stitcher™ apps need to be downloaded to mobile device and app registration completed before connection. Data usage and costs will vary. Positioned high on the centre of the dashboard, closer to the driver's natural line of sight, is the 7" colour touch-screen display. This puts information and entertainment at your fingertips and displays a range of useful information, including access to internet applications* and eco-driving display screen. 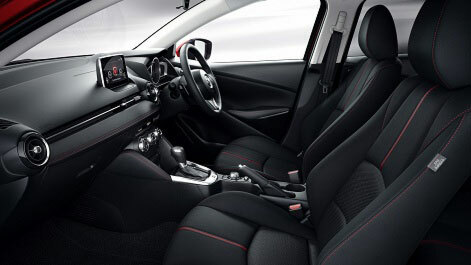 All-new Mazda2 is one of the most generously equipped cars in its class. Even the entry-level SE trim includes a trip computer, air-conditioning, steering wheel-mounted audio controls, engine start / stop button and coming home and leaving home lights. Further up the range, integrated Bluetooth®, cruise control, smart keyless entry and rear parking sensors are available for enhanced levels of comfort and convenience. 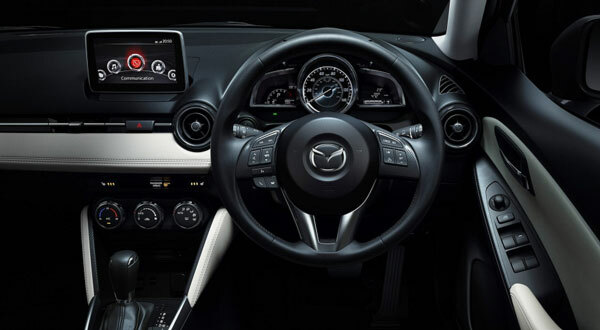 For the first time on Mazda2, selected models feature internet app integration, via the user-friendly interface of MZD Connect*, an advanced entertainment and connectivity system proving access to a range of features and applications. Connectivity is key in akk-new Mazda2 and via a compatible mobile device you can access thousands of internet radio sations from around the world, safely check and reply to text messages and even keep up to date with Facebook and Twitter. Controlled by the Multimedia Commander*(not available on 75ps SE and 75ps SE-L) located between the driver and passanger seat. Deliver responsive and dynamic performance, as well as lower emissions and outstanding fuel efficeincy and making driving more fun. Embracing all the technologies - engines, tranmissions, chassis and body - it's an approach that completely reimages the car from the ground up. Coupled with innovative technologies such as Mazda's i-stop, SKYACTIVE Technology deliversa mix of driving pleasures, balanced with outstanding enviromental and safety features. Customers can choose between the SKYACTIV-G petrol engine with 75PS, 90PS or 115PS, or a SKYACTIV-D diesel engine delivering 105PS. The five- or six-speed SKYACTIV-MT manual transmission and the six-speed SKYACTIV-Drive automatic transmission ensure rapid yet controlled linear acceleration. The 220Nm maximum torque of the diesel engine in particular delivers considerable punch at low speeds, and returns extremely impressive combined fuel economy and CO2 emissions of 83.1mpg and 89g/km respectively. 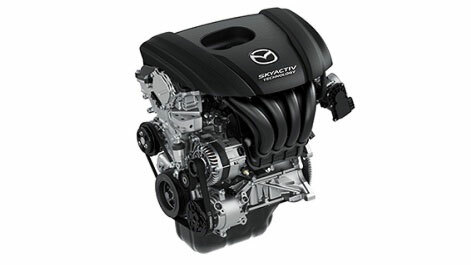 The SKYACTIV-G petrol engine achieves fuel consumption figures between 56.5 - 62.8 mpg and CO2 emissions between 105 - 117 g/km. 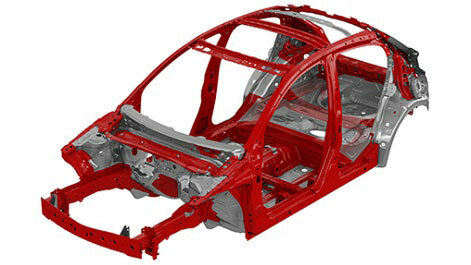 Outstanding crash protection is possible thanks to the SKYACTIV-BODY which utilises lightweight high-tensile steels. The lightweight ultra strong and highly rigid body also contributes to improved fuel economy and a more rewarding responsive drive.. 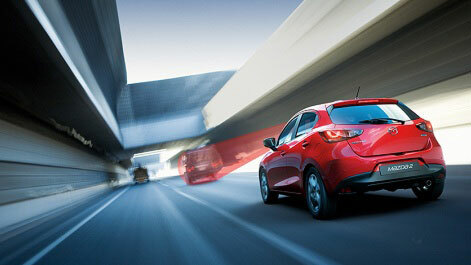 In addition to the passive protection offered by its high-tensile steel structure and front, side and curtain airbags, the all-new Mazda2 features an impressive range of active safety measures as standard including Anti-Lock Brakes (ABS), Electronic Brakeforce Distribution (EBD), Electronic Brake Assist (EBA), Dynamic Stability Control (DSC), Emergency Stop Signalling (ESS), Hill Hold Assist (HHA), and a Traction Control System (TCS) helping drivers to maintain control. The active safety systems become more sophisticated further up the model range with SE-L ?PS and 105PS Diesel) , Sport, Sport Nav and Sports Launch Edition models all featuring Lane Warning Departure System (that emits an audible warning when it detects a driver drifting out of the correct lane due to fatigue or loss of concentration), and Smart Brake City Support (which, when travelling at speeds of between 2.5 mph and 18.5 mph, automatically applies the brakes if the system detects that a collision is likely). This vast number of active safety systems guarantee that the all-new Mazda2 will be one of the safest supermini’s on the road. With the top-of-the-range 115ps Sport Nav model featuring the option of a Safety Pack featuring Rear Cross-Traffic Alert (which senses approaching vehicles and obstacles when the driver is reversing from a parking space), High Beam Control (which automatically dips your headlights to avoid dazzling other motorists), and Blind Spot Monitoring (which detects other road users in your blind spots). The all-new Mazda2 is also the first supermini to feature an Active Driving Display, placing essential driving information, including speed, turn-by-turn navigation and vehicle warnings in the driver’s line of sight (Part of the optional Safety Pack, available on 115ps Sport Nav models only).